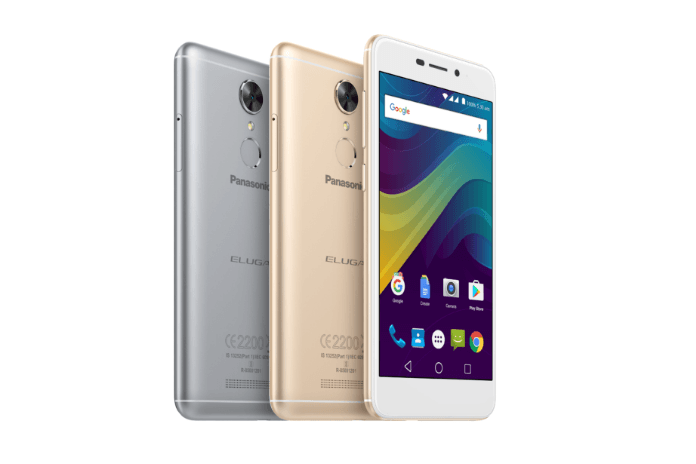 Panasonic, the Japanese multinational company today launched two new smartphones in its Eluga series, namely, the Panasonic Eluga Pulse X and Eluga Pulse. The newly announced smartphones are loaded with 4G VoLTE connectivity and are powered by the quad-core chipset. The bigger of two, the Panasonic Eluga Pulse X comes with a 5.5-inch HD IPS Screen with Asahi Dragon Trail Glass protection on top. At the heart of the phone is a 1.25GHz quad-core SoC aided with 3GB of RAM and 16GB of internal storage. The storage can be further expandable up to 128GB via a microSD card slot. The Eluga Pulse X comes with a 13MP rear camera along with a 5MP front-facing shooter. All the standard set of connectivity options are present in the phone including the 4G, VoLTE, 3G, Wi-Fi, Bluetooth, and GPS. A 3000mAh battery backs the entire package, and the company did not mention any fast charging technology. Coming to the Panasonic Eluga Pulse, it comes with a 5-inch HD IPS Screen with Asahi Dragon Trail Glass protection on top and is powered by the same unspecified 1.25GHz quad-core chipset. Memory-wise, the phone has 2GB of RAM and 16GB of internal storage with support for storage expansion up to 128GB via a microSD card slot. The Eluga Pulse comes with the same connectivity options as the Pulse X and also retains the same camera configuration. The Eluga Pulse is armed with a small 2200mAh battery and both the phones boot Android 6.0 Marshmallow out-of-the-box. Both the phones will go on sale from next week from all the offline and online channels in the country. The Panasonic Eluga Pulse X is priced at Rs. 10,990, whereas the Panasonic Eluga Pulse will cost Rs. 9,690. People will buy if it comes with Qualcomm SoC.